Chisos Mountain Lodge is operated by National Park Concessions, Inc.
Big Bend National Park is crowded during spring break and all campsites and lodging may be full. The nearest campsite with space available may be 25 miles away. The nearest available lodging during spring break may be 100 miles away. Rio Grande Village: Of 100 sites - 43 are on the reservation system. 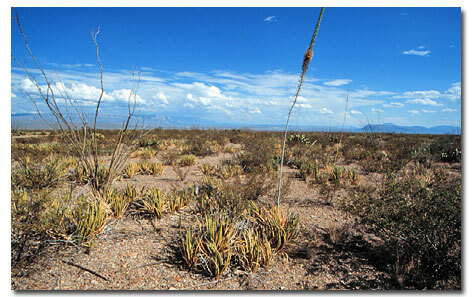 Chisos Basin: Of 60 sites - 26 are on the reservation system. Cottonwood: Of 31 sites - none are on the reservation system. ALL OF THE GROUP CAMPSITES ARE ON THE RESERVATION SYSTEM. Reservations can be made 360 days in advance for a group campsite. Reservation System from November 15 to April 15 of each year and reservations can be made for these sites 240 days in advance. The non-reserved sites remain on a first come-first serve basis. ALL CAMPING SITES AT RIO GRANDE VILLAGE AND THE CHISOS BASIN CAMPGROUNDS ARE FIRST COME-FIRST SERVE FROM APRIL 16 TO NOVEMBER 14 OF EACH YEAR. To make reservations, visitors must call 1-877-444-6777 or visit the website: www.ReserveUSA.com. BIG BEND NATIONAL PARK DOES NOT MAKE THE RESERVATIONS. There is a small reservation fee. There are also numerous backcountry roadside campsites throughout the park. Most require a high clearance or four-wheel drive vehicle. 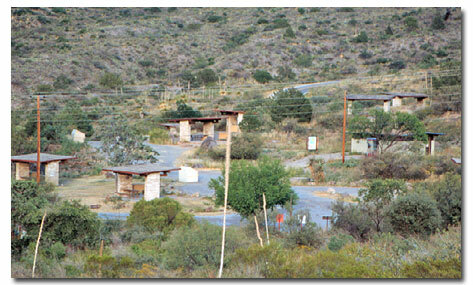 No services or facilities are available at primitive campsites. A backcountry permit is required to camp, and can be obtained free of charge at any visitor center. Backpackers have many opportunities throughout the park. Open (zone) camping is available in desert areas with a backcountry permit. Designated backcountry campsites in the high Chisos Mountains are available with a backcountry permit on a first- come, first-served basis. Advance camping reservations for large groups (scouts, school, etc.) may be made by writing the Superintendent. Group campground reservations may be made up to 90 days in advance.